Mansfield Town have signed Scunthorpe United centre-half Luke Waterfall on an emergency loan until January. The 24-year-old was on loan at Conference side Macclesfield Town earlier this season and has also played for Tranmere Rovers, Altrincham, Ilkeston Town and Gainsborough Trinity. 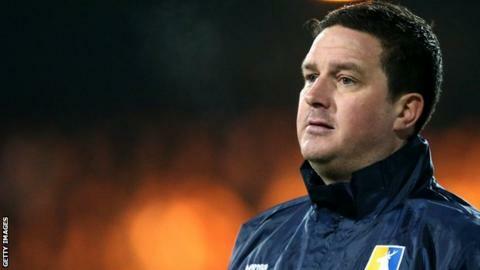 Waterfall, who is free to face Concord Rangers in the FA Cup on Saturday, said moving to Mansfield was a "no-brainer". "I like to think I attack the ball well in both boxes," Waterfall said. "And I would say I'm a bit of an old-fashioned type centre-half."